I’m for some reason depicted here as a drunkard. I actually can’t stand champagne. Happy 2014 everybody! If you missed it, we counted down our favorite comics of last year. 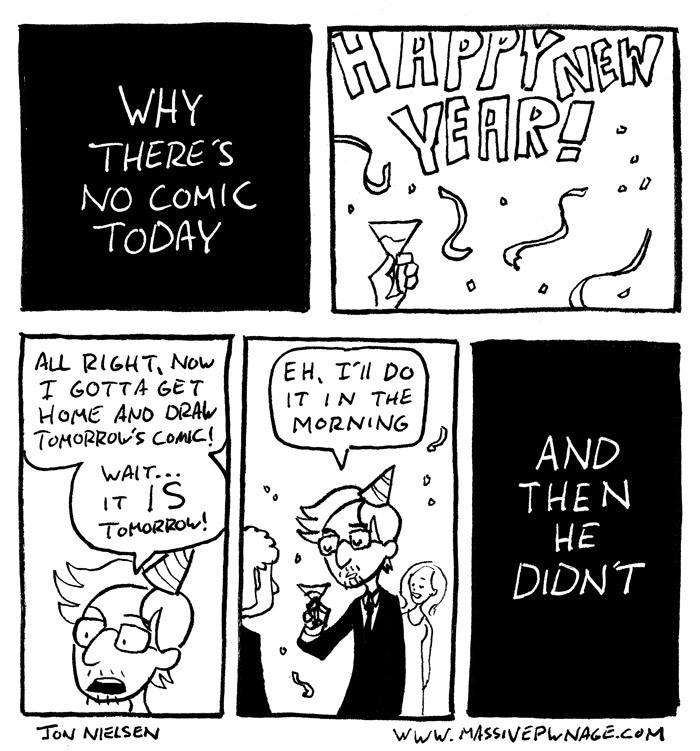 This entry was posted on Wednesday, January 1st, 2014 at 12:00 am and is filed under Comics. You can follow any responses to this entry through the RSS 2.0 feed. Both comments and pings are currently closed. This comic is a bit of a paradox.